Electronic "Closet Organizer" with Barcodes, Labeling, MRP Database and Search Engine Software. Includes Datasheets & CAD Libraries with BOM Management. 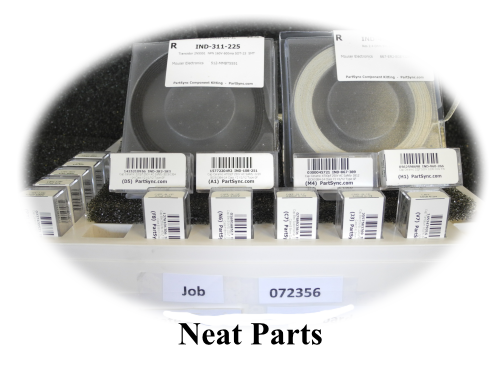 Store and sort your engineering parts with our easy to use system. Composed of labels and barcodes that are easily printed and placed on our custom made plastic storage. Place your part inside one of our plastic reels, small storage bins (for small parts) and our custom made trays. Just placed the printed label and bar code on the container and your done. Scan the barcode and it will tell you exactly what part you have and what kits you have used it in. Or type the part in your database on PartSync and see exactly where to find your part with the easy to read labels. Take advantage of our engineering database along with our off site back up database of your own personal database you will create. Full of datasheets in PDF form for each component you would possibly need. Create BOMS, and build kits from your own personal database. Once BOMs are created PartSync will generate a list of component footprints used for PCB design setup. Build your own personal database using our generic database as a starting point. Easily move parts out of that database into yours. Or add your own part with information and take the datasheets and footprints from the many that are already at your fingertips to use. While the PartSync database schema is complex it is a Microsoft Access database and it can be easily accessed using a variety of tools. Programmers can help themselves for special time saving functions. PartSync provides for multiple sources of supply for each Part Number. 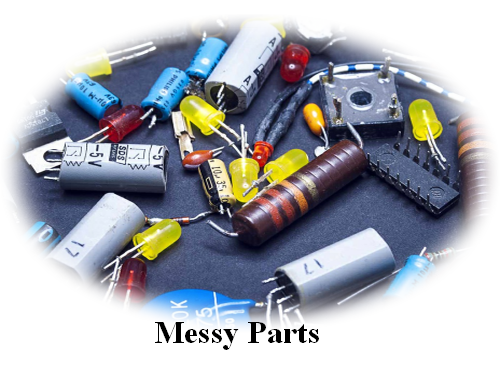 Each of the multiple sources have complete vendor and manufacturer name and part number. Each source also includes multiple costing points, each typically at some specific quantity. For a given build quantity PartSync searches for suppliers and finds the lowest cost points that meet the required part counts. An overall purchase list is generated as a .pdf report while a .csv file is generated for emailing each vendor.